…especially if you’re a judge. Or a cop. Or a…person. 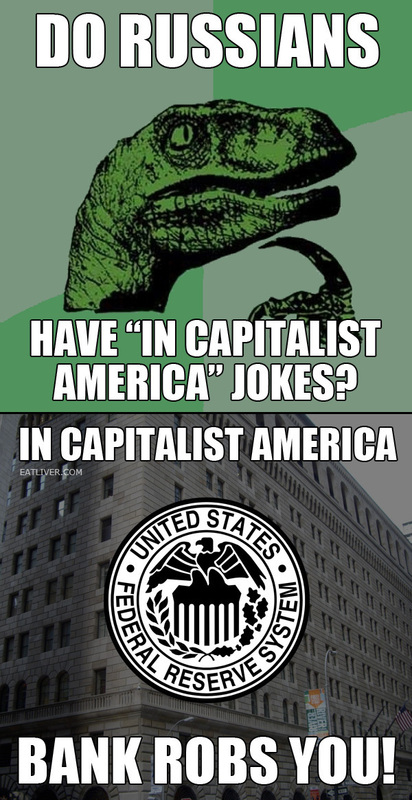 Below are just a couple more reasons to add to a very long list of why no one should trust banks. Ever. On anything. A Broward County couple wants answers from the bank that foreclosed on their home mistakenly. The couple returned from New York to find their locks had been changed and some of their stuff was gone. But it turns out the whole thing was a mistake. ‘I said, ‘Mel, we’ve been robbed.’ We couldn’t believe what had happened,’ said homeowner Harriett. Mel and Harriet said they still feel violated three weeks after realizing someone broke into their home. But it wasn’t burglars that broke in, it was the bank. When they returned to their home a lock box was on the door, the power was turned of, stickers were all over their stuff and the kitchen was cleaned out. The snowbirds then discovered their Coconut Creek townhome had been foreclosed in December. The news report emphasizes this was a “mistake,” and the thugs that robbed the couple, rather than being sought by police, have told the press they will take the proper “corrective action.” Oh, I’m sure they will. BTW, why isn’t the bank named in this piece? Why is the bank being protected in this way? This comes from Mortgage Compliance Investigators. 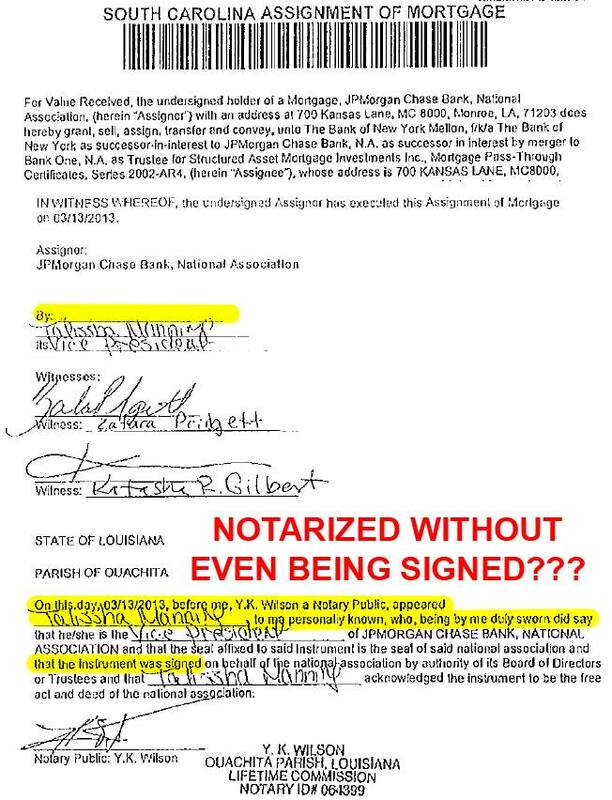 As you can see, this mortgage assignment was notarized without even being signed. Or robo-signed. They don’t even know what the hell they’re doing; they don’t even know that they don’t know what the hell they’re doing, yet we’re all just supposed to go along with it! This is the essence of the con job, the snow job, the heist. This is why no one should trust banks. This entry was posted in Debt Slavery, Everything Is Rigged, Financial Terrorism, Foreclosure fraud, Paper terrorism, Uncategorized and tagged assignment, Florida, foreclosure fraud, Mortgage Compliance Investigators, notary. Bookmark the permalink.